“A wonderful region of Scotland. Beaches are fantastic, and the area welcomes visitors as one of their own.” – National Geographic, rated 11th Coastal Destination in the world! 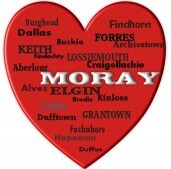 We actively encourage businesses of Moray, the community of Moray and visitors of Moray to engage with this page by sharing with followers, promoting offers and telling us why you We Heart Moray so much!! !